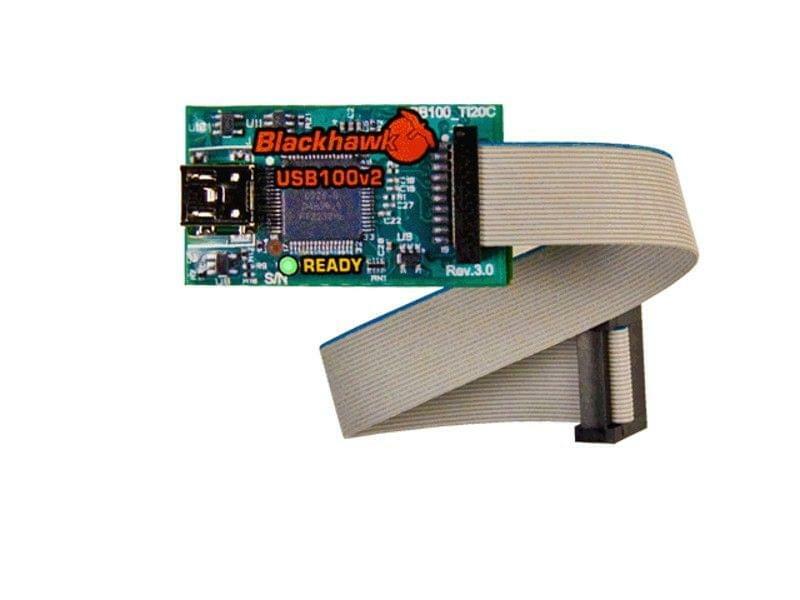 The Blackhawk USB100v2D is designed to connect to target boards with TI 14-pin or compact TI 20-pin JTAG header and debug all devices supported by the TI XDS100v2 reference design. 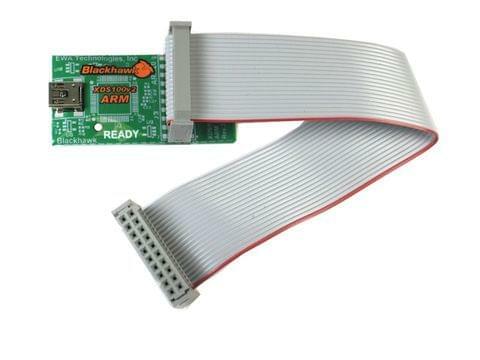 If you have a target board with an ARM 10-pin or 20-pin JTAG connection, you should look at the Blackhawk USB100v2-ARM model. The Blackhawk USB100v2 models differ in target connection options only. 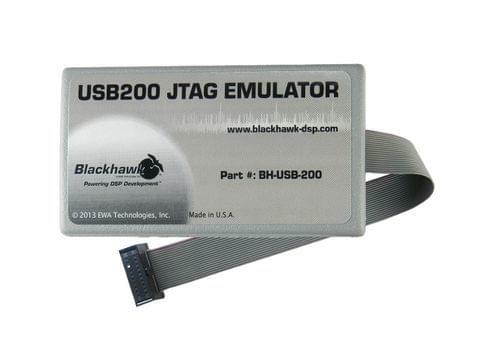 The Blackhawk™ USB100v2 (Model D) controller is a very low-cost controller for basic debugging of Texas Instruments DSPs. Requiring no external power source, the USB100v2 (Model D) can support most of the basic features of higher priced emulators and requires no additional drivers when installed using CCS v4 or later. 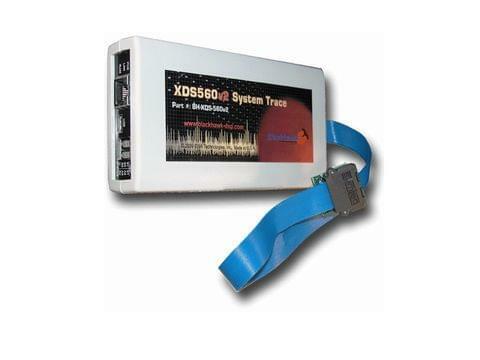 The USB100v2 (Model D) is a TI XDS100v2-compatible emulator fully supported under CCS v4 and future Texas Instruments roadmap software development environments. Blackhawk’s USB100v2 (Model D) provides additional features and performance not found in other XDS100v1 emulators. 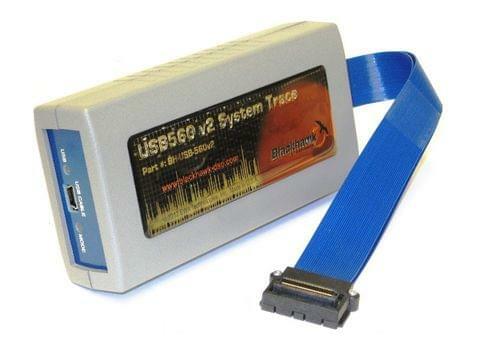 The USB100v2 (Model D) provides for faster code downloads and assembly code stepping in that the USB100v2 (Model D) uses a high-speed USB2.0 (480 Mb/s) port instead of slower USB1.x (12 Mb/s) implementations. Measuring just 2.75”L x 0.80”W x 0.65”H (7.0cm x 2.0cm x 1.5cm) the Blackhawk USB100v2 (Model D) is the smallest and most compact emulation product from a US manufacturer and is fully assembled and tested in the USA. 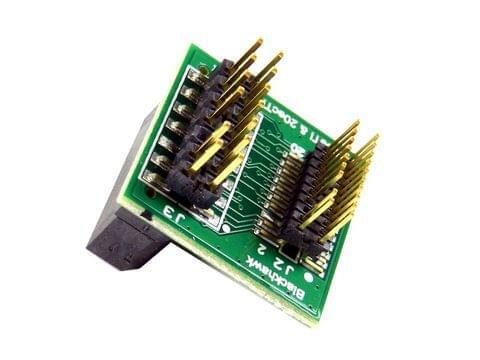 It will support 1.8-3.3v targets with standard TI 14-pin connections and also supports the Texas Instruments compact 20-pin emulation header (cTI). Additionally, with an optional 20cTI to 20ARM connector (available from Blackhawk), the USB100v can connect to 20-pin ARM Multi-Ice platforms. The USB100v Controller is also compatible with Code Composer Studio™ Flash-burner utility.